This is my favourite quote from The Handmaid’s Tale by Margaret Atwood and it seems particularly fitting to use it now. 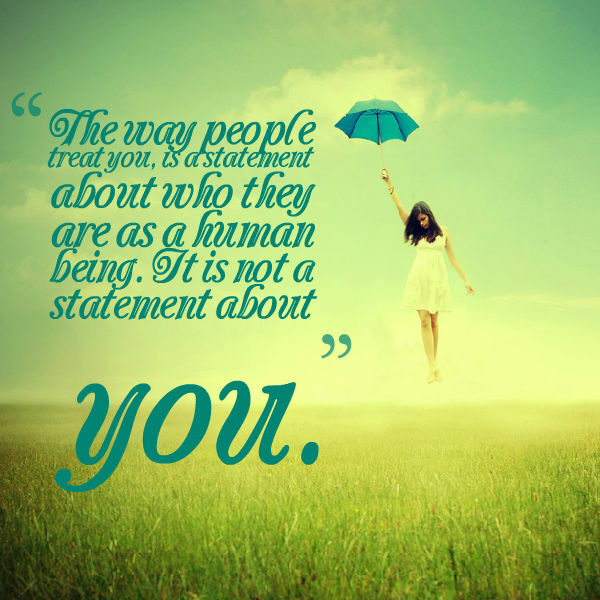 When people treat you badly, that has nothing to do with you and everything to do with them and their issues. We all know those who bully actually suffer from insecurities and low self-esteem themselves, and they make others feel bad to feel better ad superior themselves. Just remember this, their poor behaviour reflects badly on them, not on you. Don’t let anyone grind you down! !